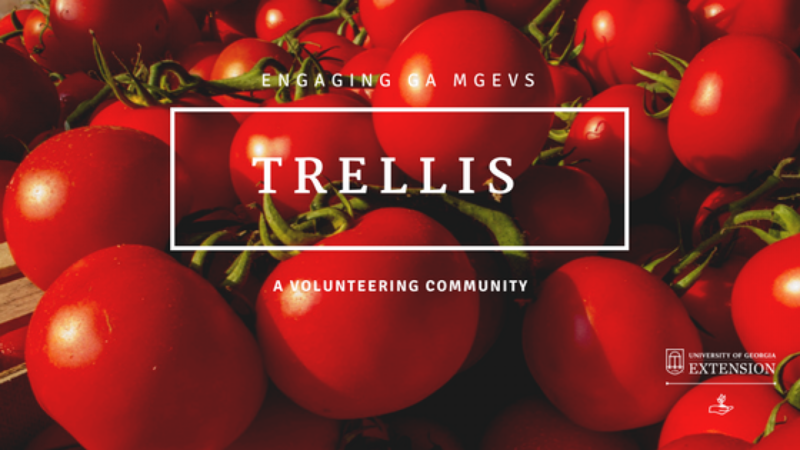 In Pickens County, Master Gardener Extension Volunteers (MGEVs) provide support to the community’s youth through their involvement at the Appalachian Children’s Emergency Shelter (ACES). Since 2014, the shelter has accommodated 8-10 children ages 12-18, providing both emergency and long-term placement. Pickens County MGEVs support the shelter’s mission of providing a safe, secure, and nurturing environment. Through their roles as horticultural educators and caring adults, MGEVs provide stability and support in the lives of these children who come from unsafe living environments. 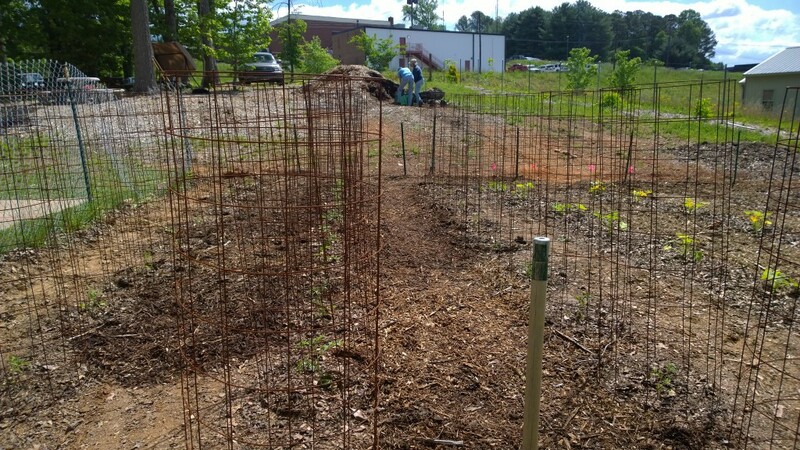 MGEVs needed a place at ACES to teach the children about gardening basics, so they created an on-site garden plot. 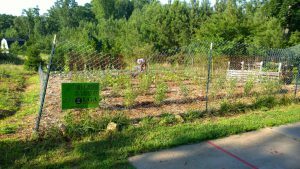 The single plot produces food for nearly 20 residents – children and staff members. Before fresh produce could be grown, MGEVs spent considerable time addressing the soil issues, including an unusually high pH and several critical micronutrient deficiencies. After much effort with soil amendment, the garden produced a bounty of fruits and vegetables for the children’s meals. MGEVs visit ACES two-to-four times a month and work with children in the garden and in the kitchen, providing the children with guidance in the satisfying process of growing their own food, walking them through each step, from planting the seeds to preparing the harvested produce for a healthy meal. Meals are prepared and cooked with the assistance of the 7-10 children residing in the home. Not only do youth learn a new skill, but they also have access to fresh food and nutritious meals provided by the fruits and vegetables grown in their garden. 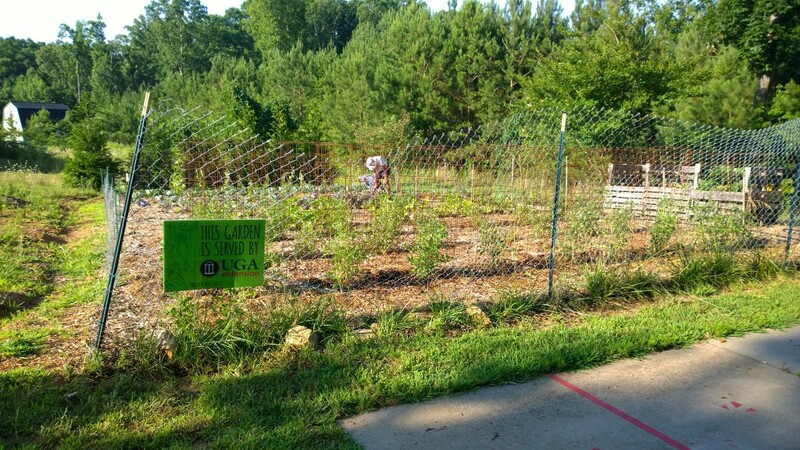 Pickens County MGEVs support this project with funds from their annual plant sales. Through this project, positive relationships are formed between the children and with the MGEVs, who are positive adult role models. As MGEVs educate about gardening, they also learn from the children and are encouraged by the support they provide in these children’s lives. *This Pickens County project was featured as a 2016 Project Spotlight. To learn more about the project spotlight process and other MGEV projects around the state, go here and here. Posted in Projects, Volunteering. This entry was tagged youth. Bookmark the permalink.